Editing your Dimension Styles Faster! So, here it is 2009, and I'm still wondering where 2008 went. It seems I was snowboarding in Mammoth only six months ago, now I'm planning the next trip! Here's a tip I ran across that I sometimes forget myself. Working with dimension styles can be a little tedious at times. But there's one little thing that has definitely made it a little easier. 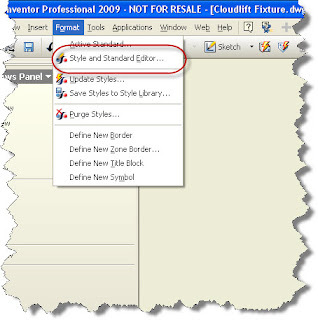 Most of us who've been using Inventor for a while know the standard method to editing dimension styles. That is go to the Format>Styles and Standards pulldown menu, locate the dimension style, and either modify it, or use it to create a new one. Of course, that brings up the Styles and Standards Editor. While powerful, this can be a pretty intimidating to identify and change the correct dimension style. Thankfully, there's a way to get to the correct dimension style with a little less headache. 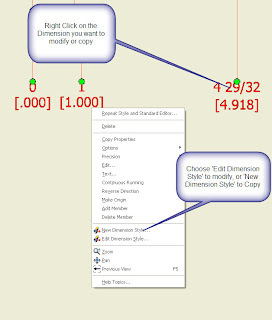 Just choose a dimension that you want to modify or copy, and right click on it. 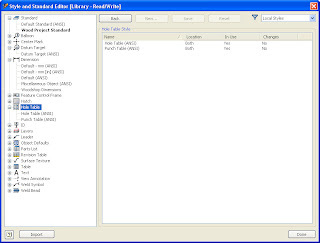 By choosing 'Edit Dimension Style' you can modify the existing dimension style, changing all the dimensions it affects. 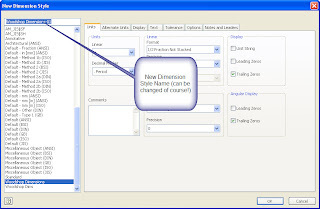 By choosing 'New Dimension Style' you can copy an existing dimension style and alter the copy to create more dimension styles. These have the advantages of dropping you right into the correct dimension style when you're editing. In the case of creating a new dimension style, you can choose an existing dimension style that most closely suits your desire, and use the 'New Dimension Style' to make a copy you can modify. Happy 2009 everyone! I hope this proves to be another helpful tip. Never use the default password.